NIB Job Circular 2018. National Institute of Biotechnology requirement notice 2018 publish by daily newspaper and jobscircular24.com. Recently National Institute of Biotechnology (NIB) Offical website publish some suitable position requirement notice. As a result, Bangladesh most popular job publish website found this job circular by this page. 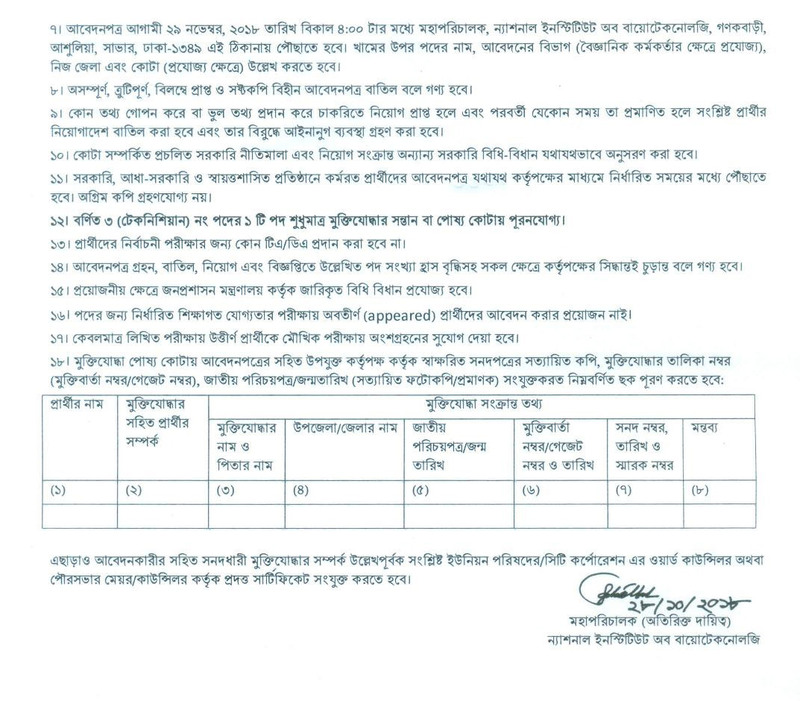 Bangladeshi citizen Male and female both can be apply nib job circular 2018. National Institute of Biotechnology job Circular publishes 28 October 2018. Recently they are published Scientific Officer, Computer Operator, and Technician post. Who wants to build his career this post can be apply by this requirement notice. 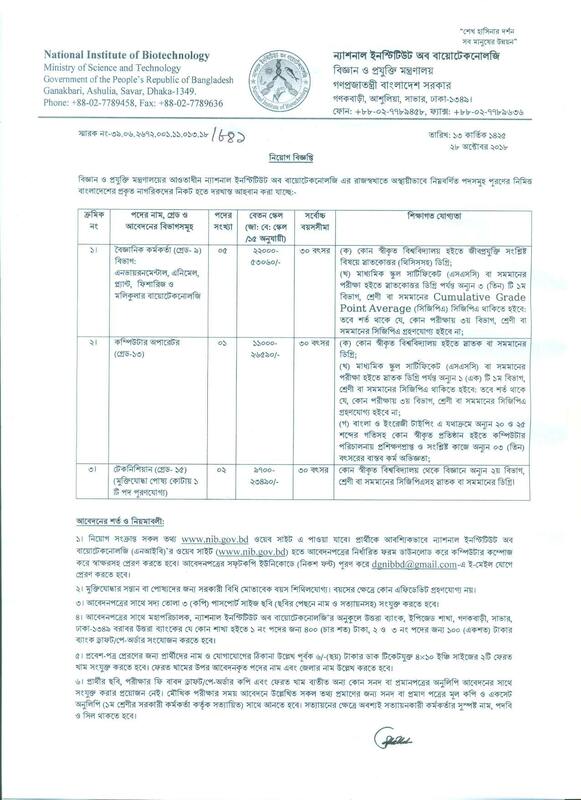 We also will be published NIB Job Circular 2018 exam result, NIB Exam date, seat plan and more. NIB Job Trust invited applications for the recruitment. Eligible candidates can apply to the post in the prescribed format on or before 29 November 2018. National Institute of Biotechnology Requirement summarise. Post Title: Scientific Officer, Computer Operator, and Technician. Apply fee: Depending on applying this post. Who wants to apply through can be apply here. For go to official website and download apply form or our click apply now link. After Completed this apply few day let will be published this exam date. Same time we will be published this admit here. The Author of National Institute of Biotechnology All Applications Mobile sends user id and password You can collect this information. By this information go to now give your user id and password submit your information and your can download your Admit card. National Institute of Biotechnology Exam Result will be published here. After Completed this exam will be published NIB Jobs Exam Result here. First NIB official website will be published this exam result same time we will be published this exam here. So you can easily download your exam result by this page.